Google's Assistant is picking up the ability to speak with you in two languages without having to switch accounts. Now Google Home and Android smartphone owners will be able to speak in any two of the following languages: English, Spanish, French, German, Italian and Japanese. The Google Assistant will reply in the language of the query it's answering. The company first mentioned it was working on this feature in February, but there hadn't been an update on it for months. The new feature helps Google Assistant serves bilingual households, which make up an increasing percentage of American families. It's estimated roughly 20 percent of Americans speak a language other than English in their households, according to the latest census figures. This gives Google a clear group of people that it can use to train its assistant on voices and speaking patterns that it may otherwise miss. 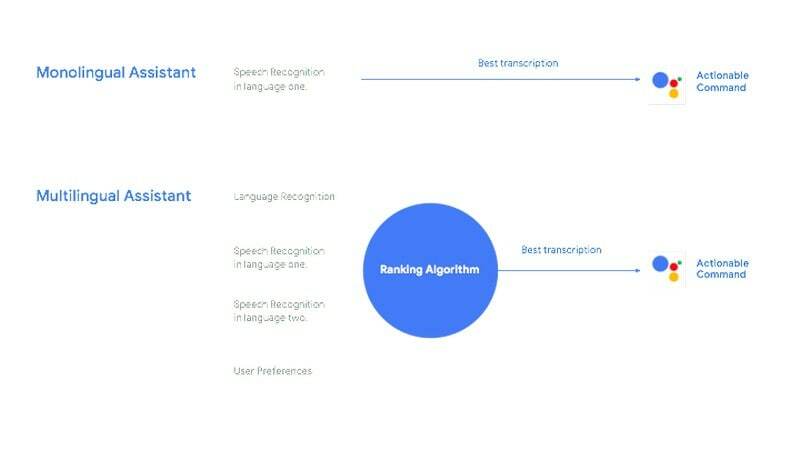 "We hope multilingual will encourage more use of the Assistant in bilingual homes, thus helping us continue to improve our training models," Google said in a statement to The Washington Post. Spanish is the most common non-English language spoken in US households, followed by Chinese languages - which are included in the languages supported by Google's new feature. The company said it is working to expand the number of languages it supports in this new bilingual mode. This feature also serves Google's international ambitions for the Assistant, which it's already working to build for a market outside of the United States. Amazon doesn't have the same brand recognition outside of the United States, analysts said, giving Google some potential to move ahead. According to market research from the firm Canalys, it's shipped more units globally than Amazon this past quarter. But competition is still fierce overseas, and Google must be prepared to compete with firms such as Samsung or Xiaomi. Those who want to try the new feature can turn it on starting Thursday in their Google Assistant or Google Home settings.